Looking for mortgage advice? We'll be glad to discuss your mortgage needs! Call us at (415) 453-6200. Ready to get started? Apply Here. There aren't as many loan program choices as there are applicants, but it feels like it sometimes! We can guide you to locate the refinance loan program that can fit your situation the best. Contact us at (415) 453-6200 to begin the process. In order to review your choices, you'll need to list your goals for the refinance. Are you refinancing primarily to lower your rate and monthly payments? Then a low, fixed rate loan may be your best option. An ARM (Adjustable Rate Mortgage) or a fixed mortgage with a high rate are loan programs that you might want to refinance. Even when rates rise later, unlike with your ARM, when you qualify for a fixed-rate mortgage, you set that low interest rate for the term of your loan. If you are not expecting to sell your home in the near future (about five years), a fixed rate mortgage loan can particularly be a wise loan option. However, an ARM with a initial low payment could be a better way to reduce your mortgage payments if you see yourself moving within the near future. As a result of refinancing, your total finance charges may be higher over the life of the loan. Are you planning to cash out some of your equity in your refinance? Maybe you're dreaming of a cruise; you have to pay tuition for your college-bound child; or you plan to renovate your home. In this case, you'll want to find a loan higher than the remaining balance of your current mortgage.With this goal, you You will need to apply for a loan for a higher amount than the remaining balance on your present home loan in this case. If you've had your existing mortgage for a long time and/or have a high interest mortgage, you might\could be able to do this without increasing your mortgage payment. Perhaps you hope to pull out some home equity (cash out) to put toward other debt. If you hold any debt with steep interest (like credit cards or vehicle loans), you might be able to pay that debt off with a loan with a lower rate through your refinance, if you have the right amount of equity.  Are you dreaming of paying off your loan faster, while beefing up your equity more quickly? You should consider refinancing with a shorterterm loan, such as a 15-year mortgage. You will be paying less interest and growing your equity more quickly, even though your payments will usually be bigger than they were. However, if you've held your existing thirty year mortgage for a number of years and the loan balance is rather low, you might be able to do this without raising your monthly payment — you could even be able to save! To help you understand your options and the numerous benefits of refinancing, please call us at (415) 453-6200. We are here to help you reach your goals! Curious about refinancing your home? Give us a call: (415) 453-6200.